In the second episode of the week, we offer a slate of reviews for recent games, giving final thoughts on Wolfenstein II and Super Mario Odyssey, while Sean waxes poetic about the magic of Hatsune Miku: Project DIVA Future Tone on the PS4 and Jonathan discusses the hollow shell of Sonic Forces. 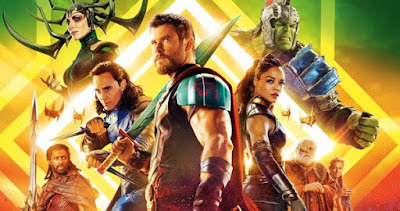 But for the main event, we dive into Thor Ragnarok, one of the very best Marvel films to date, devoting a full hour to discussing all the wonderful characters, colorful visuals, and surprisingly poignant themes of this excellent superhero adventure. I really enjoyed the latest episode of The Weekly Stuff ,have been waiting for it since last week.Podcast is my favourite place to kick off my boredom.